Indie-pop netlabel Ano(t)raks has been pretty focused on one thing so far in 2014 – a band called Shin Rizumu. Their past two releases – and only two of the year up until today – have been easy-breezy affairs from that group, completely pleasant listens that whiz by and don’t leave much of an impression (wanna see the saved-as-draft post I have for their first one, where I couldn’t think about a body?). They are alright, but it has been weird seeing two straight albums from just them on an imprint known for pulling in so many different names. 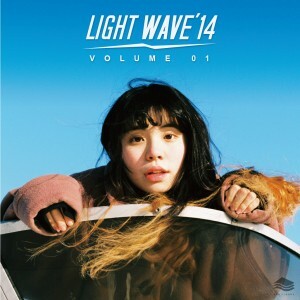 Shin Rizumu appear on Ano(t)raks new compilation Light Wave ’14, but only for one track and…in a bit of a departure…one of the collection’s strongest. They trade in the upbeat skip-a-doodle of before for slow-moving, melancholy lounge rock, which adds an air of doom to their music (imagine a more malnourished The Paellas). Yet the whole comp continues the labels turn towards easy-going afternoon sounds, although it is better than that description. Heso No Suke’s “PMS” is a jaunty little song that shines thanks to its understated vocals, while Sodapop’s contribution is some fantastic poolside disco. Get it here, or listen below.